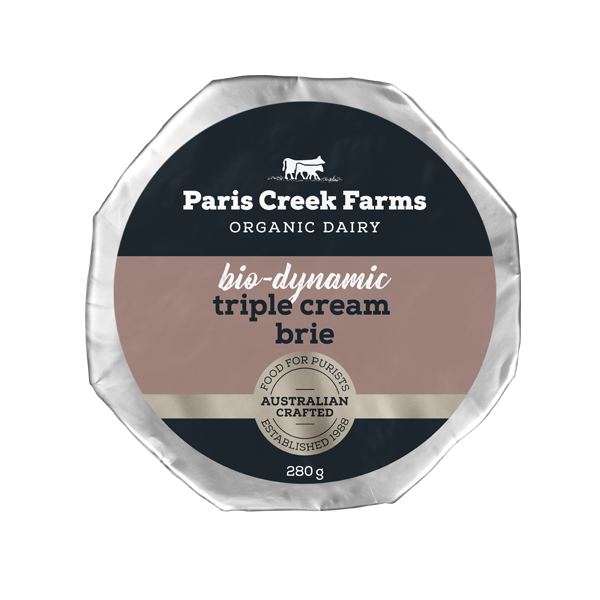 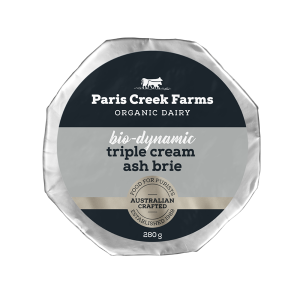 Our Bio-dynamic Triple Cream Brie is our ultimate soft cheese variety: indulgent is an understatement here. 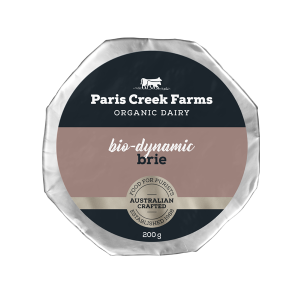 This cheese is made from 100% certified bio-dynamic organic milk and cream which lends itself to a velvety creamy texture and the classic rich buttery flavour for which Brie is renown. Let it dance on your tongue. 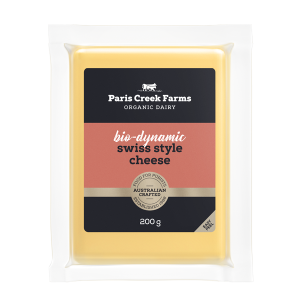 Check out all of the awards this product has won!